Category: Biography & Autobiography, Self Help & Personal Development, Yoga and Meditation Tags: health, lifestyle, meditation, personal growth, Positivity, self-esteem, self-help, wellness. How often do you feel sick and tired of feeling sick and tired? This book will allow you to set yourself free in a body and mind that you can feel proud of again, and in which you can go on all kinds of amazing adventures. Learn to get out of your head and back into your body, relax and play more, feel lighter and more open, and really get the most out of life – not just physically, but also mentally, emotionally and spiritually. 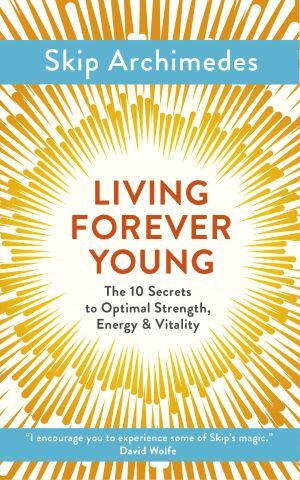 After an introduction on what “living forever young” really means and why it is so important, insight into Skip’s inspirational back story and how it led to the development of the life-changing secrets in this book, the ten main chapters then begin: Breathe, Move, Nourish, Rest, Love, Shine, Believe, Learn, Commit and Live. 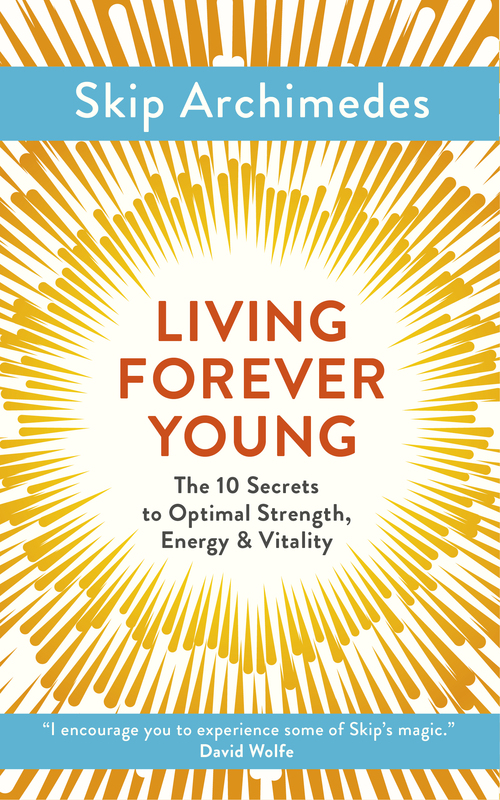 As well as a wide range of valuable information backed up by insights from leading experts, each chapter includes a host of practical well-being suggestions based on both Western and Eastern practices. Each chapter then ends with a request for the reader to list the main ways in which they will “live” this “secret” from here on in. There will also be weblinks to free online training. Readers will find Skip’s passion and commitment to helping others live as vibrantly as he does both inspiring and infectious.